INTRODUCTION TO SUSTAINABLE SITES is a statewide, section by section by section, event hosted by the NC Chapter of the American Society of Landscape Architects (NCASLA) in partnership with the US Green Building Council, ASLA, and NC State & NC A&T University Landscape Architecture Departments. The Charlotte Section event will be hosted at Camp North End. 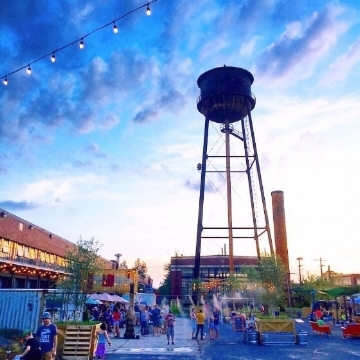 Once used to produce Model Ts and Army missiles, this 76-acre historic industrial site now serves as a hub for creativity and innovation in the heart of Charlotte’s North End Smart District. Camp North End. 1824 Statesville Ave, Charlotte, NC, 28206.